Most Recent Update on July 26 2018. This privacy notice governs the website www.emilyoga.com and informs you of our policies regarding the collection, use, and disclosure of personal data when you use our Services and the choices you have associated with that data. This privacy notice only covers information collected through the site listed above and via direct communications between you and www.emilyoga.com It does not cover any information collected at any other website, application or other communication methods such as when you call us, write to us, or in any other way communicate with us. Your privacy is very important to us. www.emilyoga.com will retain your Personal Data only for as long as is necessary for the purposes set out in this Privacy Notice. We will retain and use your Personal Data to the extent necessary to comply with our legal obligations (for example, if we are required to retain your data to comply with applicable laws), resolve disputes, and enforce our legal agreements and policies. 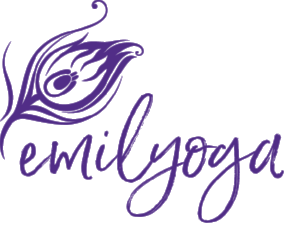 www.emilyoga.com will also retain Usage Data for internal analysis purposes. Usage Data is generally retained for a shorter period of time, except when this data is used to strengthen the security or to improve the functionality of our Service, or we are legally obligated to retain this data for longer time periods.